generally referred to as a Special. A large number of small companies set up specialising in making such bodies and several were based in north London. However the industry had largely died out by the early 1960’s. deep within Epping Forest on the main Epping Road. Robin Hood PH and below we can clearly see the garage in 1958 with an Ashley 750 heading towards it, alongside the "Tardis" on the kerbside. retaining the “Robin Hood” premises as a showroom. Bert Miller who worked for Ashley Laminates whilst they occupied the above garage said that, "the first task of each day was to move completed shells outside to the front so they had room to do other work. The bodies then had to be returned at the end of the day". It is not surprising, therefore, that the company moved to the larger "The Potteries" premises in Upshire! "The Potteries" as it is now, courtesy Google Earth. another worker Vic McDonald, said it had grown to about 20 employees, (see photo below), including the two or three normally based in the Robin Hood showroom. 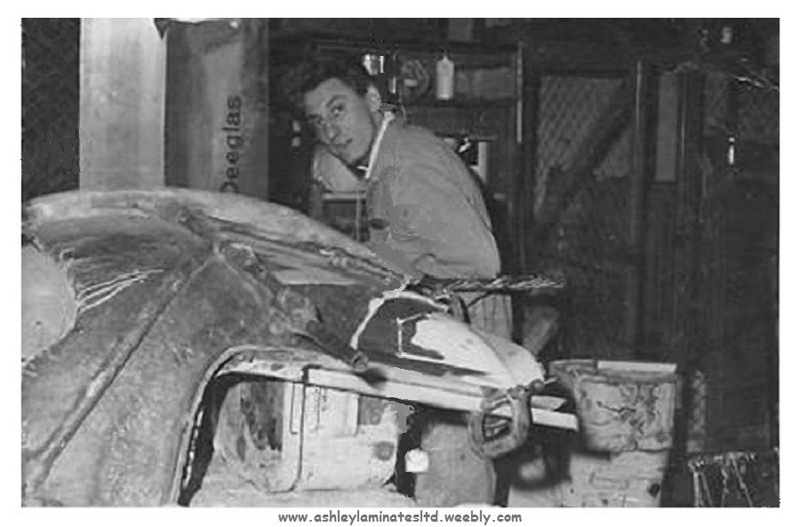 Also during this time Conrad Black's father worked there, Conrad contacted me in October 2013 via my Facebook "Ashley Laminates ports Cars" page to let me know and he also sent me some photo's that his dad had taken back then, (shown below). Conrad's dad working on an 1172 Hardtop moulding. 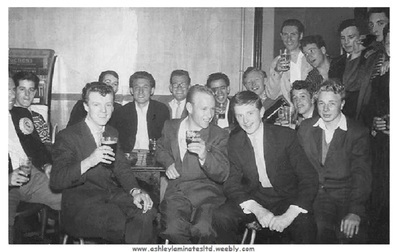 1959 works outing photo, all the lads from Ashley's having a good time. There were three parts to the Upshire premises, the large mould shop where bodies were made, the small mould shop where smaller parts were produced and an assembly shop. There was also an open area where bodies could be stored. Sometimes, if there were no customer orders to fulfill, staff would produce models on spec and these would be left here. If a body had been left outside for a while, it required a lot of cleaning before it could be delivered. although the company continued to manufacture it's fibreglass hardtops and bonnets for propriety made sports cars. 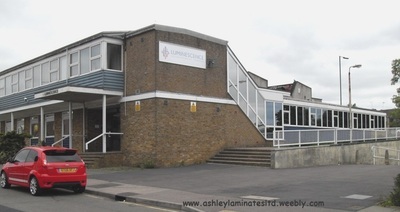 During June 2013 Jim Pailing contacted me regards the address of the Bush Fair factory which I was able to supply, he has a Reliant and was researching the Ashley/Sabra connection. He managed to find the building and apart from a makeover at the front and side it is still the same building, see photo's below, now home to a security and specialist printing ink company. In 1963 the company changed names to Ashley Auto Improvements Ltd and relocated to Twyford Road, Bishops Stortford, Hertfordshire. fibreglass hardtops and bonnets for propriety made sports cars. 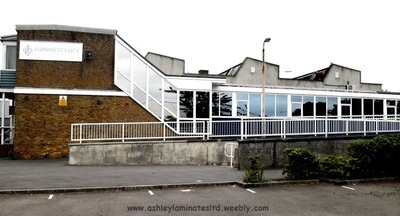 Ashley Auto Improvements Ltd at Twyford Road, Bishops Stortford, Hertfordshire. 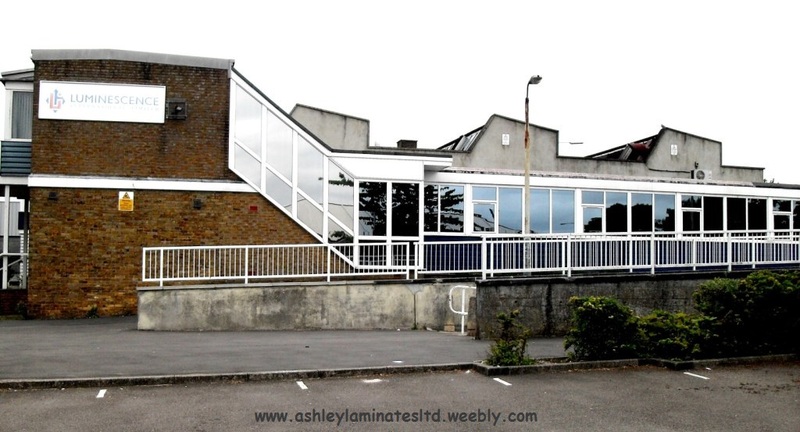 This was I believe the last resting place for Ashley Laminates/Auto Improvements until they closed their doors in 1972. (This building now appears to have been demolished and a large industrial complex constructed all around the area). 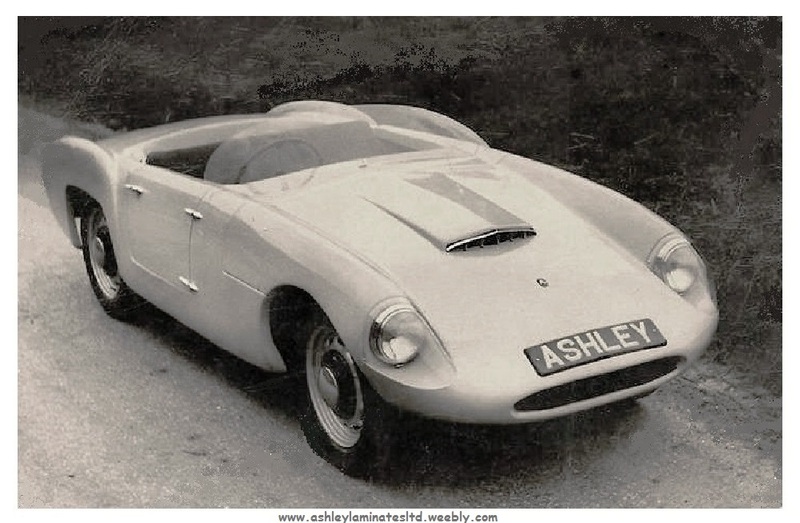 I have been pleased to be able to direct some current owners of MG Midgets, AH Sprites, MGB's and Triumph Spitfire's to Angelo to supply the last few original Ashley products. has resurrected the Ashley Laminates name and started manufacturing the Ashley Laminates Hardtop's and Bonnet's. Photo Courtesy of AshleyGT.co.uk and Darryl Davis. They can supply Hardtops and Bonnets for AH Sprite's, MG Midget's and Triumph Spitfire's. The End - I think?